Uses Arne's 16 colour palette. 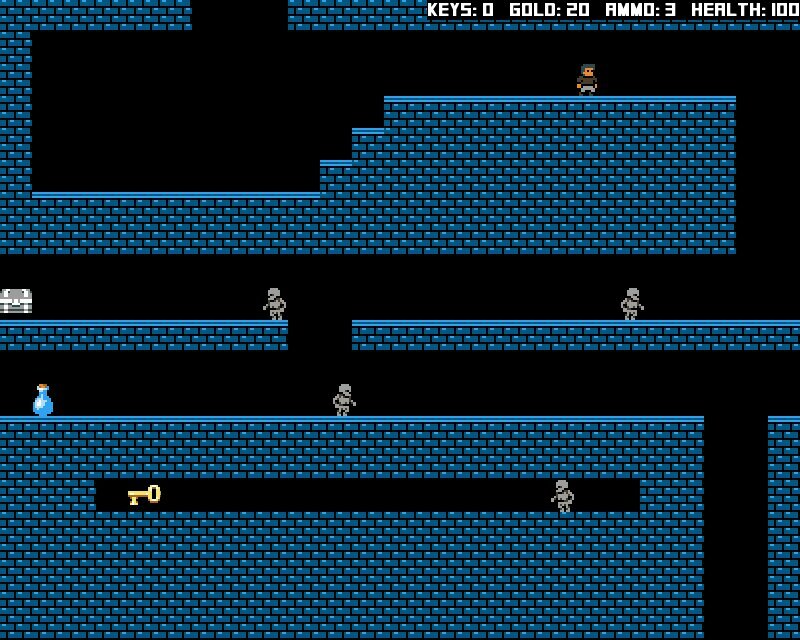 Awesome... Looks perfectly well suited for a Lode Runner themed Diner Dash clone. 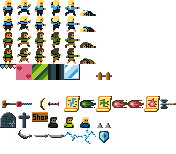 Hello, Something I noticed, on the development thread theres more sprites thaty didnt make it to this submission such as the guy in the cloak or the mage looking npc. The platforming aspect will be about patience and trickery all while you try to avoid battles because they will be hard and unforgiving. This will make the player rely on checkpoints to advance. Excuse my design ignorance but are these tiles 16x16, 32x32 or something else entirely? I just wanted to say thank you surt, Sharm, and vk for these graphics. 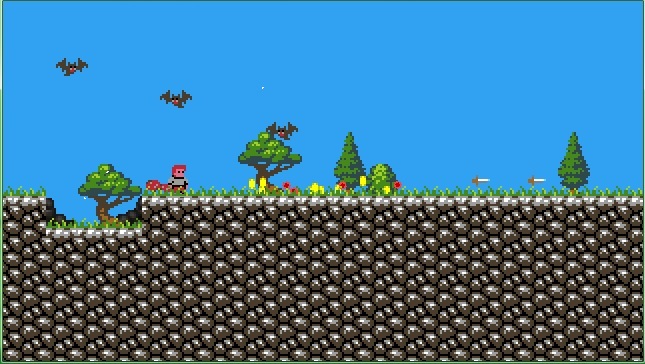 I've been wanting to make a real platformer for a long time, and seeing this tileset has inspired me to jump back in (no pun intended) and try and conquer it once and for all. 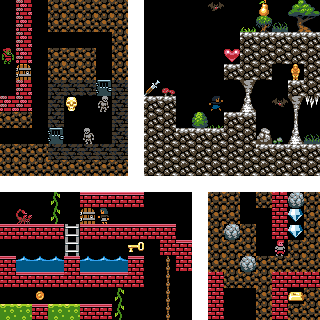 Here's some of this wonderful tileset in action. 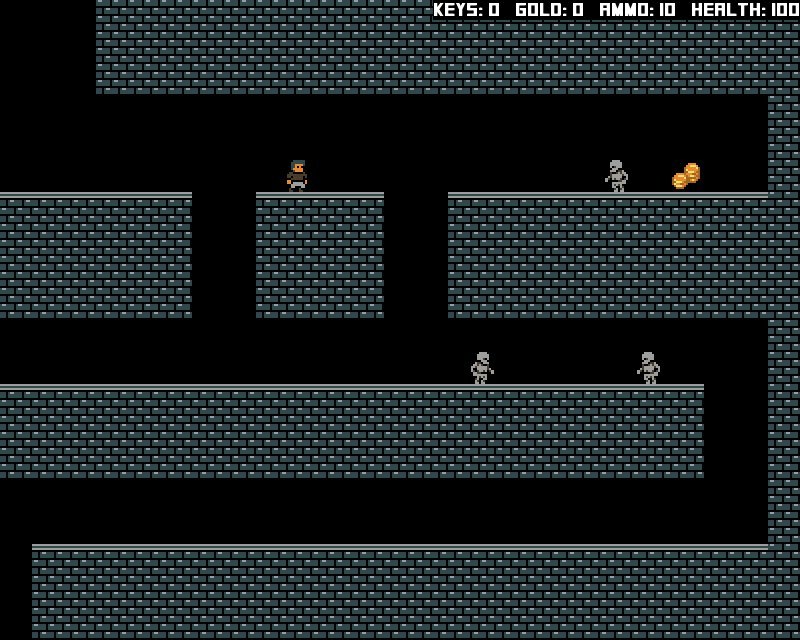 This is just a testbed game to work bugs out of code and see how far I can push my skills. 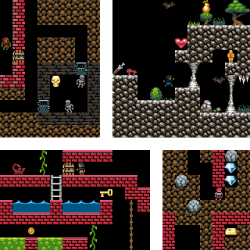 I'm no pro at mapping, and I'm still learning how to get the most out of Tiled. Pretty soon I might even be ready for a 48-hour or 7-day compo. Again, thank you for this! 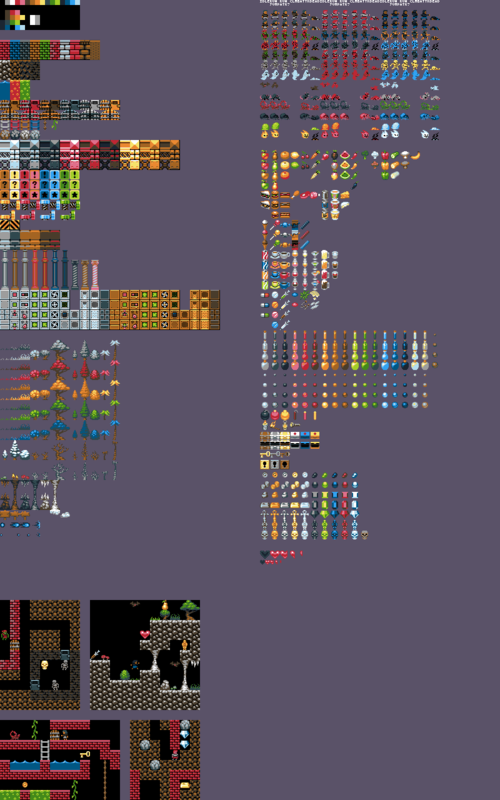 And keep making these wonderful tilesets. FYI, there is a single black pixel in the tall pink palm tree that shouldn't be there. EDIT: and one in the last fireball frame. Until today, I believed that no Western creations was able to do so. I kinda remixed these into a simple UI... CC0 like the rest of the set. Should the background be transparent or do I need to remove it in Photoshop? Use index 16 as transparent or replace index 16 with index 0 and use index 0 as transparent or no transparent. This tileset is awesome! 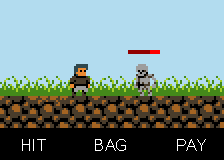 I was wondering if I would be able to animate the character walking with this tileset. As of right now I using the "Idle" and "Run Jump" to make the character walk and it isn't pleasing to the eyes. I'm pretty sure I just intended the use of the two run frames. Obviously there are still many bugs and what not, since it's a work in progress. I'd just like to show how I've used these graphics. Now, I know this is cc-0 but I still would like to credit the authors in the credit screen. Can you all maybe tell me what you want to be credited as? If I hear nothing, I'll just use "Surt, Sharm, Vk." with a link to opengameart.org. 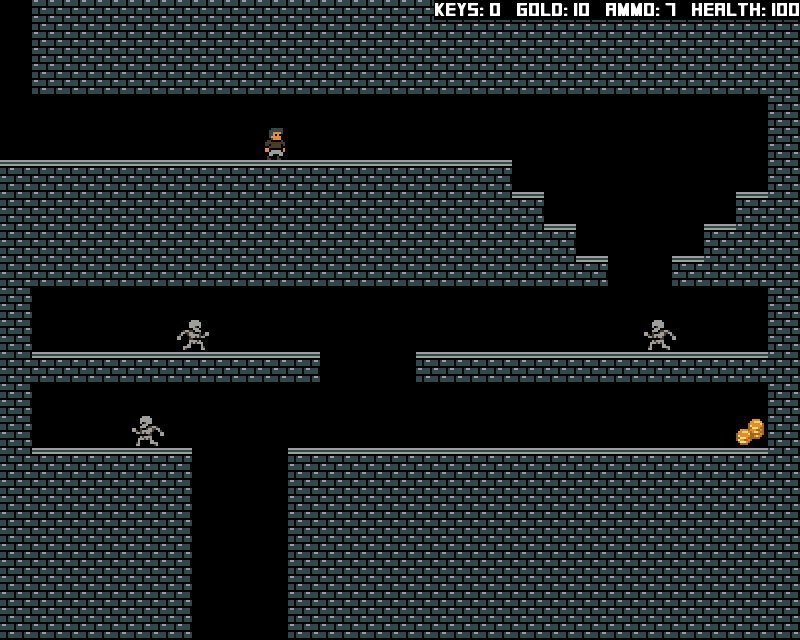 Also, I added some of my own graphics, even though I concider it programmer art, I don't think it looks too bad. I want to give what I made back to the community as a thank you. Totally obsessed with this set. 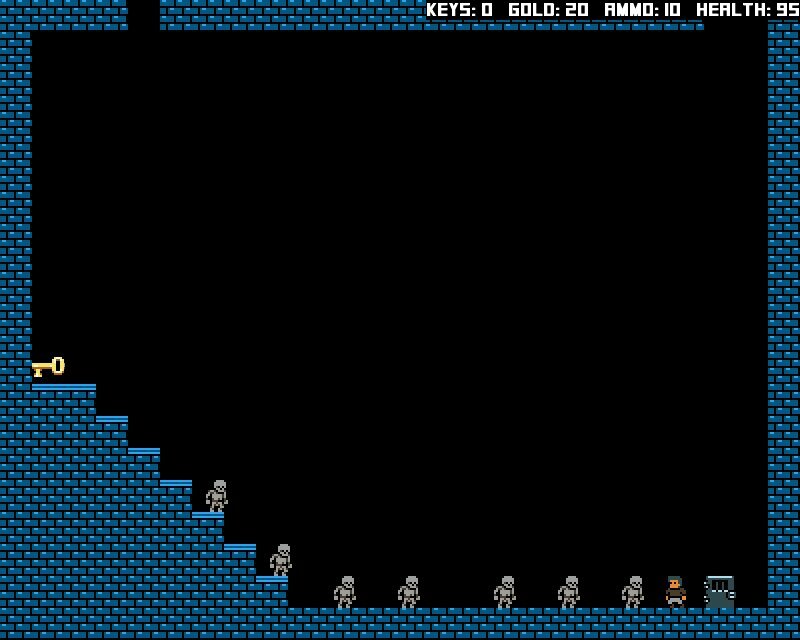 Used the characters and some of the tiles for LDJAM32.